You don’t know it yet, but your Marketing Team is the secret weapon to your donor development plan. While the role of marketing is often viewed as “communications” in the Non-Profit world, today’s marketing departments are about more than just promotion and social media. With the availability of new technology and access to big data and marketing-intelligence, your marketing teams have the potential to work side by side with your development teams to impact your organization with increasing donor engagement. At 454 Creative we’ve taken a tool we call The Customer Journey Map, crafted for our business clients, and adapted it for our community of non-profit partners. 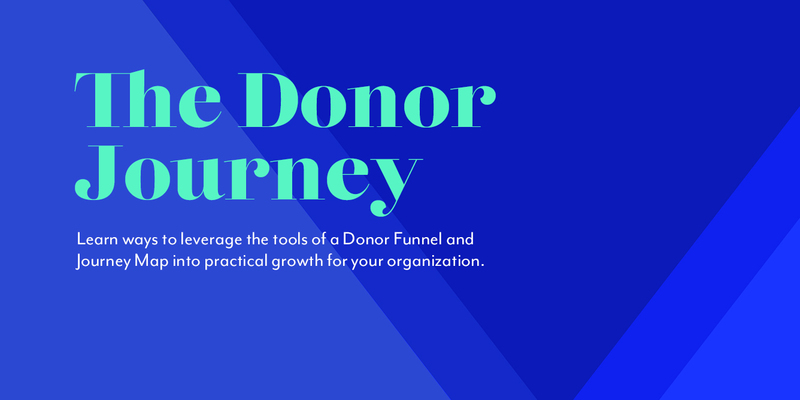 This Donor Journey Map will show you how to outline the path of engagement for each stage of your donor relationships and teach you to measure and track every step of their journey through your organization. We’d love to invite you to a half-day workshop where you’ll be introduced to the concept of the Donor Journey Map, develop your own Donor Journey Map and learn ways to leverage the tools of a donor funnel and journey map into practical growth for the organization. Additionally, you’ll get to spend the morning with other non-profit leaders, learning, sharing ideas (and a great meal!) and networking together.